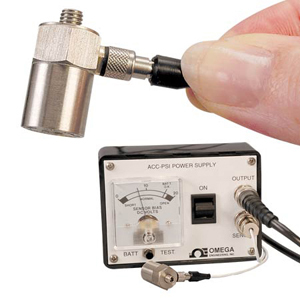 The ACC103 laboratory accelerometer is ideal for use in shake tests, vibration labs, and other general purpose vibration applications. The ACC103 weighs only 15 grams, ideal for applications where low accelerometer weight is critical. It has a 10 mv/g output which can measure vibrations up to 500 g's.